As I write this, December 31, 2012; Tucson and the surrounding mountain ranges are being pelted with rain and snow. As I look from the Summit Hut door to the North, The Catalinas are being blanketed with snow to about 4000 feet. What a spectacular place we live and know that conditions can change on a dime. Enjoy being outside. 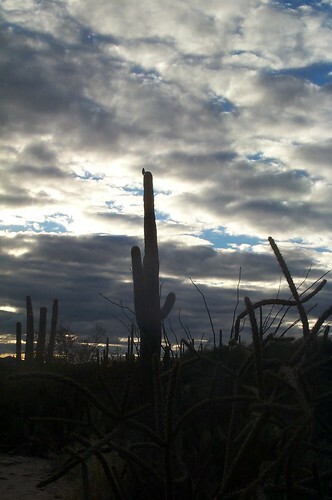 January in Tucson becomes the envy of many across the country, and conditions are perfect for playing in the outdoors. However, if you are anything like most of us, you love having the opportunity to head up into the mountains and play in the snow and ice at least a couple times a year. With weather these days as I write this, snow is falling in Catalinas and the mountains are absolutely beautiful from our Tucson valley. Here are some tips and suggestions for enjoying the outdoors in the new year! Of course alway be careful as conditions on the mountain ranges can change by the minute, so be prepared! Tips: As with any adventure in the Desert (whether it be in the snow or in the heat), you must be prepared to bring water. Many folks don't realize this, but you can dehydrate just as quickly in the cold as you can in the heat. Also when venturing outdoors in our mountain ranges in the winter time, make sure to pack the appropriate clothing with layers. Make sure to pack and nice warm puffy jacket in your pack as you head up. You will be thankful when you stop walking and are able to keep youself warm at your rest times. Of course, ensure that you let someone know where you are going and when you might be back and always bring a headlamp in case your are out later than you expect. Gear: If you're hitting the higher elevations, after we've had some rain and snow, a pair of snowshoes makes the inaccessible accessible again! And not only do we sell snowshoes for the whole family, we also rent snowshoes! If you're not worried about snow, but you might encounter some ice, products like the Kathoola Microspikes and a pair of Leki Trekking Poles, will help you stay on your feet. 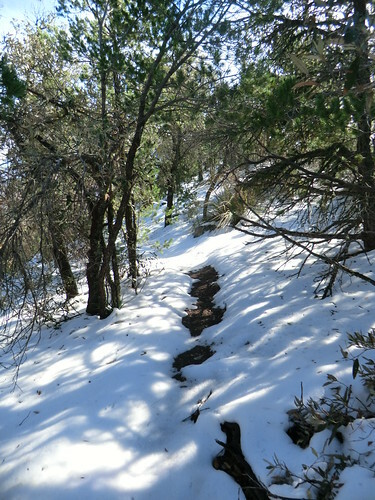 Destinations: If you're looking for a nice snowshoing adventure, heading out any of the trailheads along Catalina Highway just after a nice snowfall will offer great views and a great experience. Another awesome winter experience, although only recommended for those comfortable with winter backcountry hiking, is the trek to the summit of Mount Wrightson. Wrightson is the highest peak in southern Arizona and is likely to have ice and snow from the first winter storm, well into March. This is a trip where trekking poles, microspikes AND snowshoes are just about a requirement in winter. Lower elevation destinations such as Milagrosa Canyon offer pleasant temperatures. However, be aware that water levels may be higher than normal depending on recent rain and snow-melt. -Seasonal road/day use closures went into effect Dec. 17 - Road Closures (the list of roads is in this is nice – who can remember?) – also has some notes about lower elevation open recreation sites.